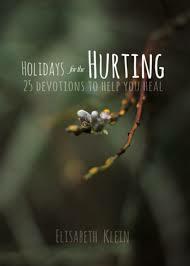 If you are in a difficult marriage, if you are going through a separation, if you are reeling from a divorce, if you just found out that you are sick, if you have a child who is making poor choices, if you or your spouse lost a job, or any manner of hard-life situations, you may be dreading this holiday season. I’m here to tell you, though, that your life does not have to be perfect – or even close to it – to experience a meaningful holiday season, to deeply experience the love of the Baby-Jesus-turned-Savior. It can be filled with more hope and I believe that God will meet you where you are, even in your season of sadness or confusion or pain. Fill up your inbox and your heart (or a friend’s!) with a daily devotional from December 1 – 25 that will point you to Jesus and his hope even in the midst of your pain.